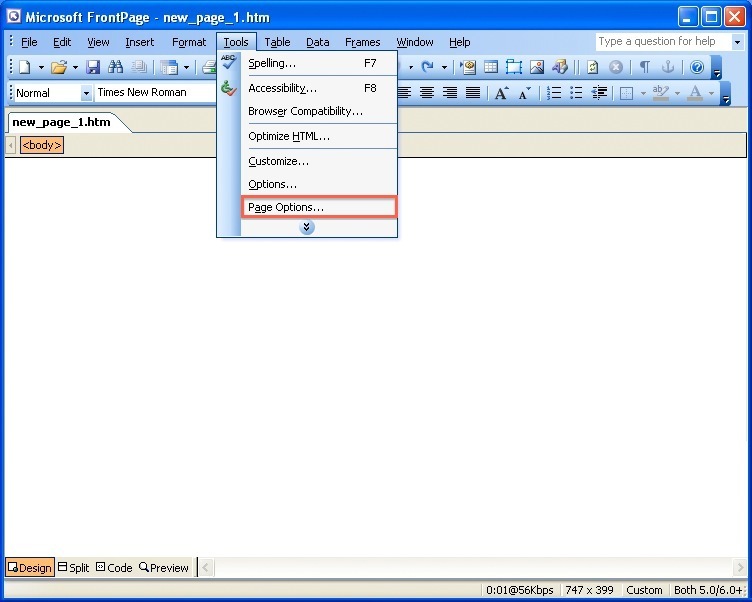 These steps will help you setup FrontPage® to be compatible with different web browsers and to be able to publish using FTP, so that you don't have to rely on the FrontPage® extensions. There are some things in here which need to be changed in order to be compatible with different browsers. 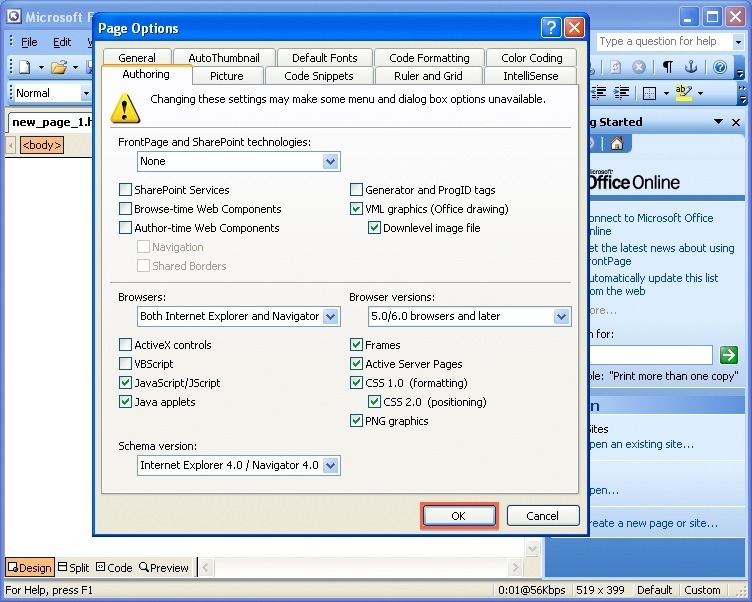 Select None from the FrontPage and SharePoint technologies menu. From the Browsers section, select Both Internet Explorer and Navigator. 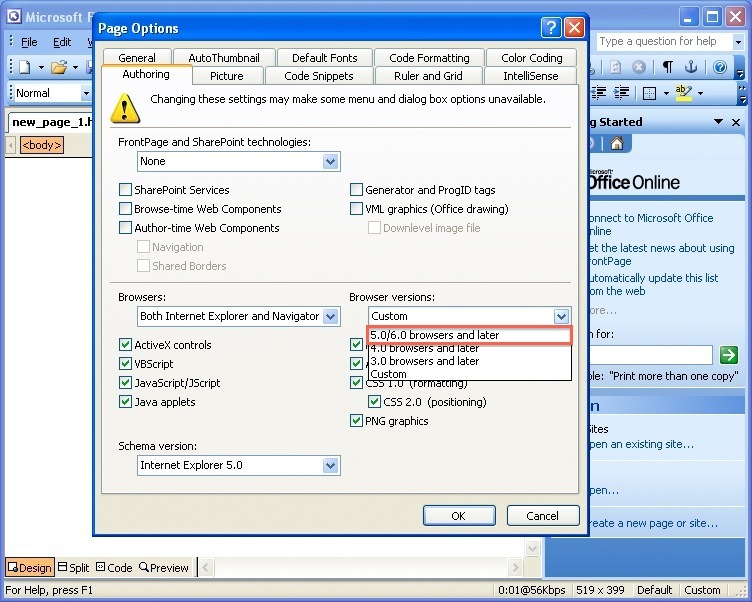 From the Browser versions menu, select 5.0/6.0 browsers and later. FrontPage is now setup to be published using FTP and to display properly in different browsers. 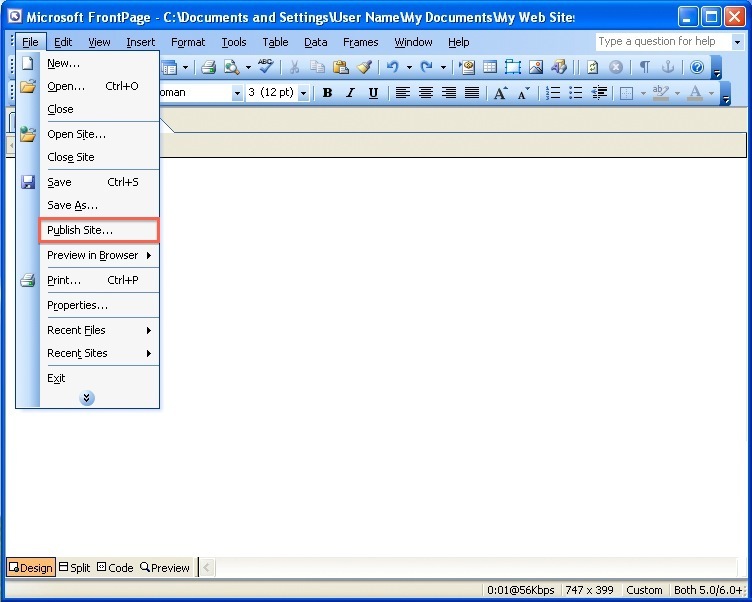 To begin publishing, select File | Publish Site. Enter in the Remote Web site location. The Local Web site will be on the left and the Remote Web site will be on the right. The website can now be published using the Publish Web site button. 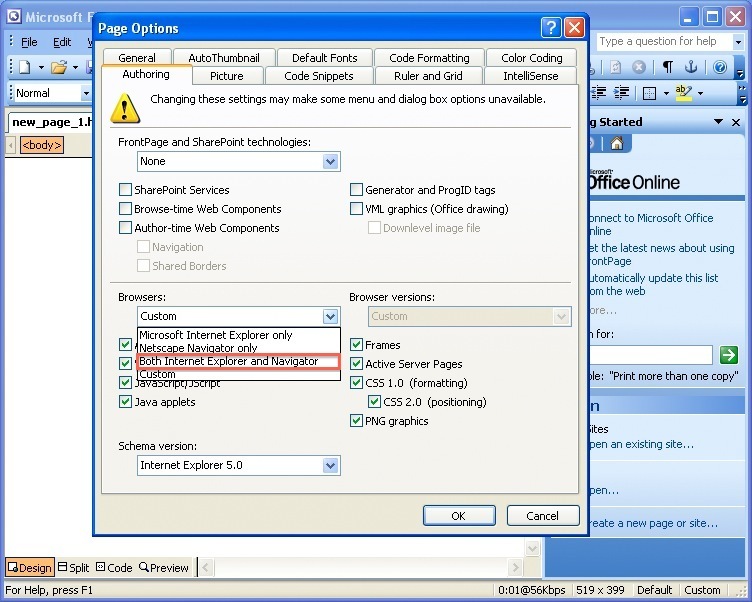 What is the Scope of Technical Support for FrontPage?.